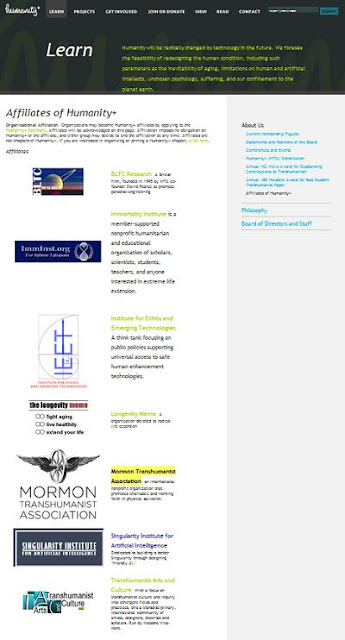 Each year, the Mormon Transhumanist Association holds an election for three of the nine seats on its board of directors. This year, voting members of the association elected Bryant Smith, David Foster and Michael Ferguson to serve as directors for the 2010 - 2013 term. Karl Hale, previously a director, will continue to serve in the appointed office of Treasurer. Humanity+ terminated its affiliation program on 6 April 2010. Consequently, the Mormon Transhumanist Association and Humanity+ are no longer affiliated. Over the next few weeks, this change will be reflected on the MTA web site and in the MTA constitution, pending amendment by voting members of the association.